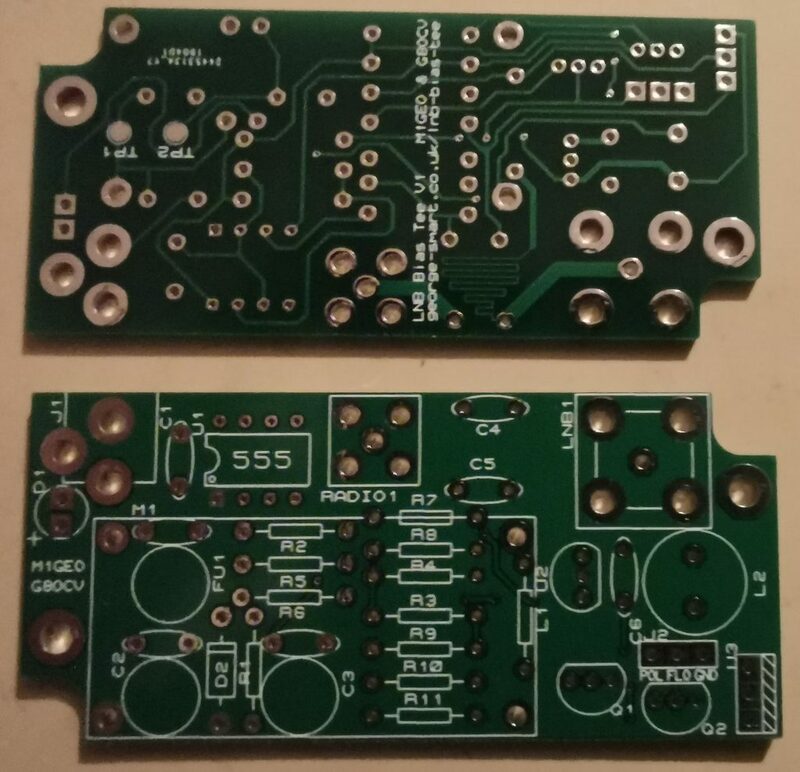 These boards are still in a testing stage – as there is a lot of interest, I will have a small run of these made for anyone interested. Watch this space! A universal input voltage (4V to 30V) DisEqC Compatible LNB Bias Tee with polarisation switching (13V/18V) and LO band switching (22 kHz tone). 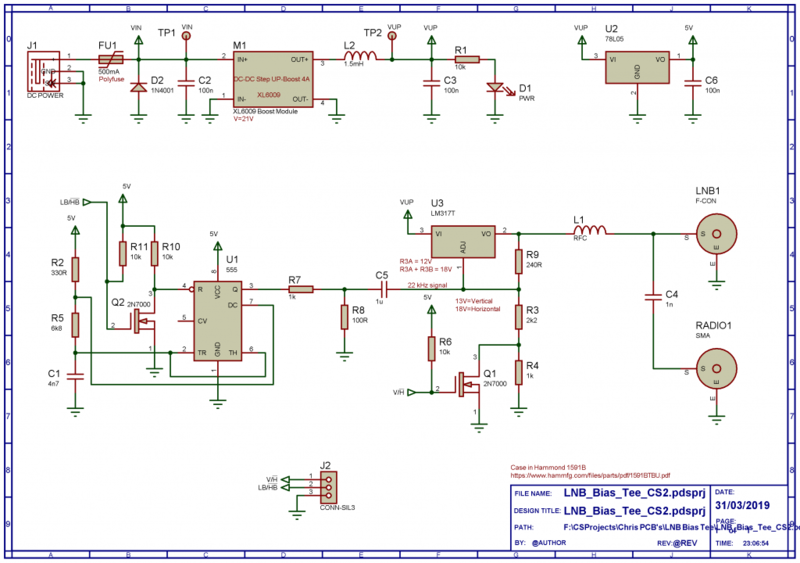 A XL6009 boost module takes the input voltage and boosts it to a higher voltage. Then, an LM317 linear regulator drops this voltage to either 13V or 18V depending on the state of V/H pin. A 555 timer creates a 22 kHz tone if desired. In it the default state, Q1 grounds the top of R4, such that just R3 is setting the output voltage with R9. In this configuration, the output voltage is 13V. With the V/H pin grounded, Q1 is turned off, and the output voltage is set to 18V by R3 and R4 in conjunction with R9. The default state of LB/HB pin is pulled high, turning on Q2. This in turn holds the 555 timer in reset state, such that there is no output. When LB/HB pin is grounded, Q2 is turned off and the 555 timer comes out of reset, enabling the 22 kHz signal.